The food there is great and of big size. The pork leg is tasty. so it is with the beef soup. but Ｉlike the seafood platter more. This place good and fabulous food!!! grilled meat is good. Heres only good for meat lovers. didn't see any vegetarian item in menu. but services is very out dated and confusing with restaurant closing time. This place is very close to the some of hotels then looks like this place is famous with the tourists. The place to be Love the food!!!! Really good place to enjoy an amazing meal! Everything was great! I love the food and I'm always happy to eat there. 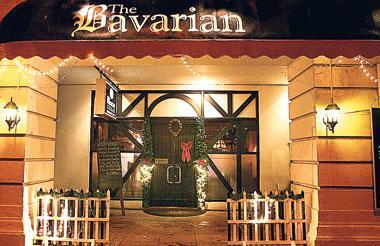 The Bavarian is a German restaurant located on Galle Road opposite Galle Face Hotel. The meat dishes are simply delectable and is one of the popular German restaurants in town. There is also a German band that plays. There is also a pub, which is very popular among the tourists and some locals. The menu has remained the same from the days that it opened. Brilliant food with a superb Pub Atmosphere- Truly Reminiscent of a proper German Pub. The food is excellent, The Meat Dishes are arguably the best in Colombo. The Pork Knuckles are legendary and so are the various "Corden Bleau's". There is a fully stocked bar to satisfy all your alcholic/non-alcholic cravings. The place is very well maintained and clean. A bit om the expensive side but very much worth the extra bucks. Un believable. Taste of food and menu has not changed from it's inception. Good food , good value for money!